In these days of endless information on the internet and Wikepedia, it’s more important to make sure the information we get is based in fact not fiction. It’s fact vs fiction! We should separate fact from fiction in all areas of our lives including taking care of our cars engine. With the help of Consumer Reports, I’ve compiled a small list of fact vs fiction. Fiction: You have to let your engine warm up for several minutes before you can start driving. Fact: This advice was true in the past but today’s car engines warm up more quickly when they’re driven. The sooner they warm up, the sooner they reach their maximum efficiency and performance. But you shouldn’t rev the engine high during the first few miles while it’s warming up. Fiction: Switching between conventional oil and other types of oil is bad for my engine. Fact: Mixing or switching between types of motor oil isn’t harmful to your engine because conventional, synthetic, synthetic blend and high mileage oil are all compatible. Fiction: If regular-grad fuel is good, premium must be better. Fact: Most cars will run just fine on regular-grade (87 octane) fuel. A higher octane fuel (premium) is often recommended for high compression, hotter running engines. So if your car is designed for 87 octane, you don’t need to use premium, it won’t improve your car’s performance. Fiction: There isn’t any difference between conventional and synthetic motor oil. Fact: There aren’t any real differences in the stock base used to make synthetic and conventional oils, but there are differences in the processes used to make each oil and the additives that they each contain. Fiction: We should inflate our tires to the pressure shown on the tire’s sidewall. Fact: The PSI figure on the side of the tire is the maximum pressure that the tire can hold safely. The automaker’s recommended pressure is usually found on a doorjamb sticker, in the glove box, or on the fuel-filler door. Check you tire pressure when the tires are cold for an accurate reading. Fiction: A dealership must perform regular maintenance to keep your car’s factory warranty valid. Fact: As long as the maintenance items listed in the car owner’s manual are performed on schedule, the work can be done at any auto repair shop. Just keep accurate records and receipts in case of a warranty dispute on a car repair. I’m sure this list is incomplete and many more facts vs fiction could be added. If you have some to add or any questions that you would like answered, please write a comment and share them with us. We will do our best to answer them for you. When you walk into a quick-lube and ask for an oil change today, you will usually be asked what type of motor oil you want to use. Because cars have changed, the motor oil we put in them has changed too. Here are the motor oil types available and a brief description of the difference between them. This information should help you choose the right motor oil for your car. Conventional Oil-This is the standard car motor oil. All leading brands carry a motor oil for service level “SL”. “SL” refers to a group of lab and engine tests that the oil is put through in order to meet the standards of the American Petroleum Institute (API). This oil works well in just about every light-duty car on the road. 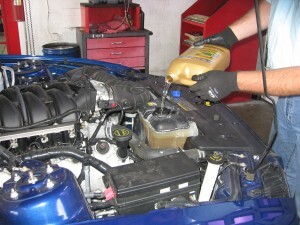 When you choose this oil it is important to change your oil and filter regularly. Full Synthetic Oil-This motor oil is made for high-tech engines like BMW, Lexus, Corvette, or Mercedes-Benz. 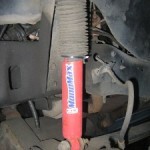 It has superior sludge and varnish protection which keeps the engine cleaner. It protects your engine from becoming to hot under severe driving conditions and also protects it in cold temperatures because the oil flows faster when the engine is started. Synthetic Blend Oil-These have a mixture of synthetic oil and organic oil and are formulated to give engine protection for somewhat heavier loads and higher temperatures. They evaporate less which increases fuel economy. This type of motor oil is popular with people who drive SUV’s and pickup trucks with heavy loads. Synthetic blend oil costs less than full synthetic and just slightly more than conventional oil. 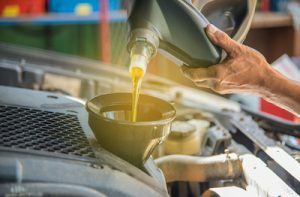 Higher Mileage Oil-We are driving our cars longer now and if your cars odometer reads more than 75,000 miles, this type of motor oil would be a wise choice. This oil is formulated with seal conditioners that restore their shape and increase their flexibility. Rubber seals are designed to swell enough to stop leaks, this oil helps them do that. Higher mileage engines can perform differently than new ones, causing oil consumption, decreased engine performance and more rapid oil breakdown. By choosing higher mileage oil you can reduce oil consumption, improve horsepower and prolong the life of the engine by cleaning buildup and sludge from your older engine. When you’re trying to determine which type of motor oil to choose for your car, don’t forget to check your owner’s manual and talk to your service technician. They can give you the best advice for your particular situation! Living here in Colorado, we can never tell for sure when the snow might arrive. In order to prepare your car for winter driving, here is a recommended car maintenance checklist. Check the Hoses-Visually inspect hoses for cracks, leaks or loose clamps and feel them to check for spots that might be brittle or spongy, that means they need to be replaced. Antifreeze can’t do it’s job if the hoses that carry it through your system are damaged. Flush the Cooling System-The additives contained in the engine coolant (antifreeze) that lubricate and protect engine parts from rust and corrosion are depleted over time. It’s recommended to have the cooling system flushed and new coolant added every two to five years depending on the car manufacturer. Test the Electrical System-Have your car’s battery tested and make sure that there isn’t any corrosion on the terminals or clamps. Check all the cable connections to make sure they’re tight. Adjust the Alternator Belt-The alternator is the source of electrical power when your car is running, it also charges the battery. 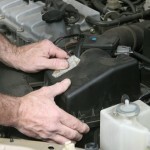 The alternator belt needs to be adjusted properly. For older model cars this is done manually. Newer cars usually have automatic tensioners. Have the belt checked for wear and cracks which signal it’s time to have it replaced. It’s a good idea to have a trained auto technician do these services. Windshield Cleaning Tools-Make sure the windshield fluid reservoir is filled with a non-freezing solution. Check the pump and sprayers to see if they are working properly. If your wiper blades leave spots or streaks, they should be replaced. You might want winter wiper blades that have a rubber boot to prevent ice and snow from building up. Check the Tires-Make sure your tires have an adequate tread depth. You should replace worn tires right away. Putting snow tires on for the winter is a very good idea. Check the tire pressure. When the temperature drops the pressures in your tires will too, so check the tire pressure more often in the winter months than you do in the summer. Brake Inspection and Flush-If you have any existing brake problems, they will get worse in the winter when your traction is reduced. Have the brakes inspected to make sure they are working properly. Brake fluid absorbs water and then collects in the system, it can cause rust, fluid leaks or damage to parts. 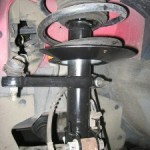 To prevent this from happening, most manufacturers recommend that the brake system be flushed every two to three years. Check your owner’s manual for your car’s recommendations. If you apply this car maintenance checklist, you can keep your car running and hopefully keep a smile on your face all through the winter months. Antifreeze is the colored fluid, usually red or green, found in your radiator. It can also be referred to as coolant and serves a few purposes. The main purpose for placing antifreeze/coolant in your radiator is to keep the water that is in the engine from freezing in cold temperatures and boiling over in hot temperatures. The engine of a car produces high levels of heat when it is running, the fluids flowing through the radiator system help to draw some of the heat away from the engine so it doesn’t overheat. Antifreeze/coolant also has corrosion inhibiting chemicals that prevent rust build up that can take place in the engine of a car. Radiators are usually filled with a 50/50 mix of water and coolant, since antifreeze/coolant doesn’t evaporate like water does it keeps the levels of evaporation to a minimum. An added purpose of antifreeze is lubrication, it lubricates the moving parts it comes in contact with, like the water pump. By properly servicing your car’s cooling system, (which includes changing the antifreeze at recommended intervals), you will help to avoid major engine problems. If you wait too long to change the antifreeze/coolant, the used coolant can harm cooling system components because the corrosion inhibiting chemicals have been used up and are no longer able to do their job. The idea is to change the coolant before the corrosion inhibitors reach dangerously low levels. For regular antifreeze the vehicle manufacturers generally recommend coolant changes every 30,000 miles or every two to three years. There are also “extended life” coolants that are designed to last 100,000 miles or five years. But be aware that these “extended life” coolants only provide extended life when used in a clean system mixed with water. If they are mixed with regular antifreeze or old antifreeze in a system, the corrosion protection is reduced to that of regular antifreeze. If you are unsure as to whether or not the antifreeze/coolant needs to be changed you can have your service center test it to determine its condition. What Is a Cabin Air Filter & When Should It Be Replaced? Many car owners have never even heard of a cabin air filter and would have no idea when it needs to be replaced if they had! Hopefully the information here will answer the questions you might have about this unknown filter. A cabin air filter is a part of your car’s ventilation system that removes pollutants from the air before they can enter the passenger compartment. Cabin air filters can also be referred to as pollen or dust filters, interior ventilation filters, ACC filters, or passenger compartment filters. A cabin air filter purifies the air as well as protecting the heater and AC components. If the cabin air filter is dirty or clogged, the heating or air conditioning performance will suffer as well as the inside air filtration. 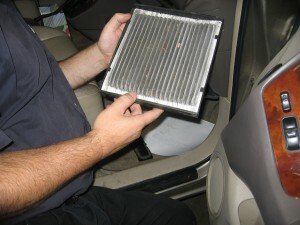 When this filter looses its effectiveness, you might notice unpleasant odors or reduced air flow from the cabin vents. It is recommended to replace this filter at least once a year or every 12,000 to 15,000 miles. It should be replaced more often if your car is driven in places with heavy pollution or dusty conditions. Two types of filters are offered for replacement, single stage and multi-stage filters. Single stage filters trap dust, large soot, and allergens. Multi-stage filters use activated carbon that reduces toxic gases and odors as well as dust and allergens. Multi-stage filters are usually the better quality filter and more often recommended. This filter is a relatively new feature and not all vehicles have one. If you own a 2000 or newer car, it probably has one. Cars and trucks in the U.S. began using cabin air filters around 1995, so check your owner’s manual or talk to your repair technician. Most repair technicians will be able to tell you whether or not your vehicle has one. 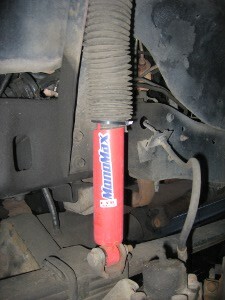 The ease or difficulty of replacing the filter depends on the make and model of your vehicle. You might have to have it replaced by a technician. Once you know whether your car is equipped with one or not, then you’ll know if you need to add” check cabin air filter” to the list the next time your car is serviced! Filed Under: Car Maintenance, Heating-Air Conditioning Tagged With: What is a Cabin Air Filter & When Should It Be Replaced? As the kids are heading back to school, now is the perfect time to “tune-up” your car! Since you will more than likely be chauffeuring your children back and forth from their fall activities or school, it’s a good idea to make sure your car is running in peak condition. The phrase “tune-up” is an old-fashioned maintenance term that only applies to older cars. For today’s cars that are equipped with electronic ignition and at least one on-board computer which automatically adjusts fuel mixture, ignition timing and idle speed, ” engine performance maintenance” is a more accurate term. But whatever you call it, it is necessary to have your car serviced at least once a year to maintain peak engine performance or restore the engine to its original operating efficiency. A tune-up is a process of inspecting, diagnosing, testing, and adjusting or replacing parts on your car that if left unchecked could cause decreased performance or other problems. A basic tune-up includes removing and checking the spark plugs, cleaning or replacing the spark plugs and installing them in the engine. Your car’s distributor cap and rotor are checked for wear and cracks. If there are cracks, moisture can get in and cause corrosion of the metal, which causes your car to misfire. These parts should be replaced at recommended intervals or if they show excessive wear. A tune-up also includes setting the idle speed to your car’s specifications. These are the basic procedures performed during a tune-up but you can take this opportunity to have other systems checked out as well, such as brakes, clutch, fuel lines, hoses and belts. The terminology used and services performed on our cars may have changed with time, but the importance of having your car serviced regularly hasn’t, so call your automotive technician and make an appointment for your fall “tune-up” today! Auto Repair: How Much Should It Cost? How many times have you gone into an auto repair shop for a repair that in your mind shouldn’t cost very much and then been shocked by the actual cost? Auto repair isn’t cheap and we shouldn’t expect it to be. 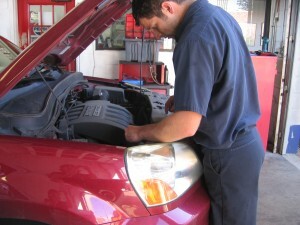 The cost of repairing a vehicle is based on several factors. The make, model and year of the vehicle affect the cost of repairing it. Lack of accessibility on some cars raises the cost. Of course, type of auto repair needed determines how much it will cost. Some repairs cost more because the parts involved are more expensive. The cost of auto repair is also determined by the labor rates in your area. The average shop charges between $60-$100 per hour for labor. Finally, where you take the vehicle for repair affects the cost. Dealerships usually charge more than independent repair shops because they have more overhead costs to cover. As with all your auto repair needs, it’s important to look for a trustworthy shop that will give you honest advice, quality service and fair prices. We can’t avoid auto repair! Sooner or later, something is going to break, wear out or fail. We can try to prevent major repairs by good preventative maintenance but auto parts still wear out. Most frequently, tires, brakes, belts and hoses. And the more miles on your car the greater the possibility you may have engine or transmission problems. Nothing lasts forever, so when your vehicle needs repair, you want to know how much it should cost before the work begins. 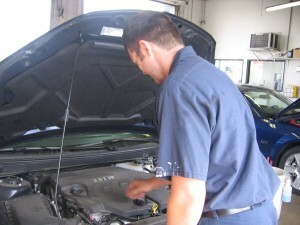 A reputable shop will give you an estimate that lists the parts that need replacing and their cost, the labor charged to replace those parts, any charges for diagnostic time (this covers the time it takes to connect a scan tool to your vehicle and read out any fault codes that may be in the vehicle’s computer) and any additional charges for miscellaneous items such as hazardous waste disposal fees, or shop supplies. The labor you are charged is usually based on a standard “flat rate” and it most often the most expensive item on auto repairs. The labor time required to perform a certain task will vary depending on accessibility of the part, the degree of difficulty of the job, and whether special procedures or tools are required to complete the job. All of these are taken into account when a vehicle manufacturer or manual publisher determines the flat rate tables for various repair jobs. This information is published and then used by repair shops in preparing their auto repair estimates. The longer it takes a technician to replace a part, the higher the charge. Auto repair is difficult, messy, back-breaking work that requires skill, training, and experience. Cars today are just as technical as a PC, and when they crash, they’re just as costly to repair. Most of us don’t expect to have our computers repaired for nothing but somehow we have the idea that auto repair should only cost us pennies! Maybe it’s time to think again! Cheap Oil Changes, Are They Worth It? 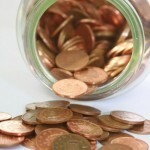 During this economic crunch, we are all looking for ways to save money. But when it comes to the condition of our cars, those valued objects that get us to our jobs, the grocery store, school and social events do we want to risk getting a cheap oil change? 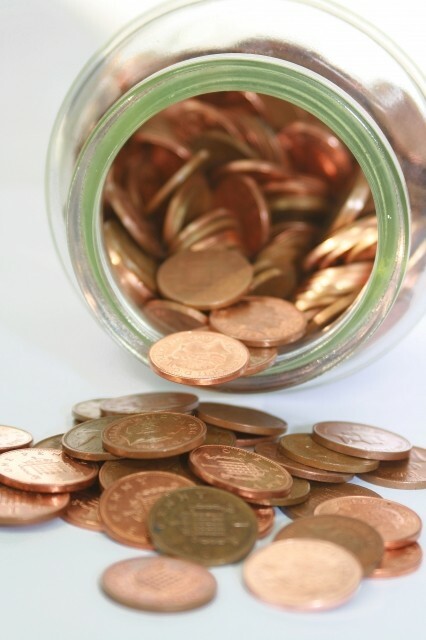 Saving a little money now by using cheap oil can cost you a lot in the future when the oil fails to do its job. There are two important things that oil does for your engine. First it provides lubrication. Inside your car’s engine there are many moving parts that would rub against one another, creating extreme levels of friction and wear. If these parts come into contact with one another without oil between them to create a cushion, there would be severe damage to your engine. Without quality oil your engine’s performance is greatly affected. Your car won’t run smoothly and your gas mileage will be much lower. Secondly motor oil cleans the engine and prevents contaminates or “sludge” from building up. Quality oil will contain detergents that help clean the engine and additives that help inhibit corrosion. You might think that you are saving money by going to a shop that advertises a $19.99 oil change. But in order to give you that price they have to sell you cheap oil and a low quality oil filter that doesn’t meet with manufacturer’s specifications. When the cost of an average oil change is $35-$45 at a reputable shop that uses high quality oil and high quality oil filters and it’s recommended that you change your oil every 3 months or 3,000 miles, if you do the math that comes to 50 cents a day to change the oil in your car. Most of us can afford 50 cents a day! We spend more than that on our morning coffee! If we skip one coffee trip a week and put that money toward our oil change, our wallets wouldn’t even notice! Considering all the benefits our cars provide when they run well, don’t you think it’s worth it?